We will utilize square stitch and looping for this project. 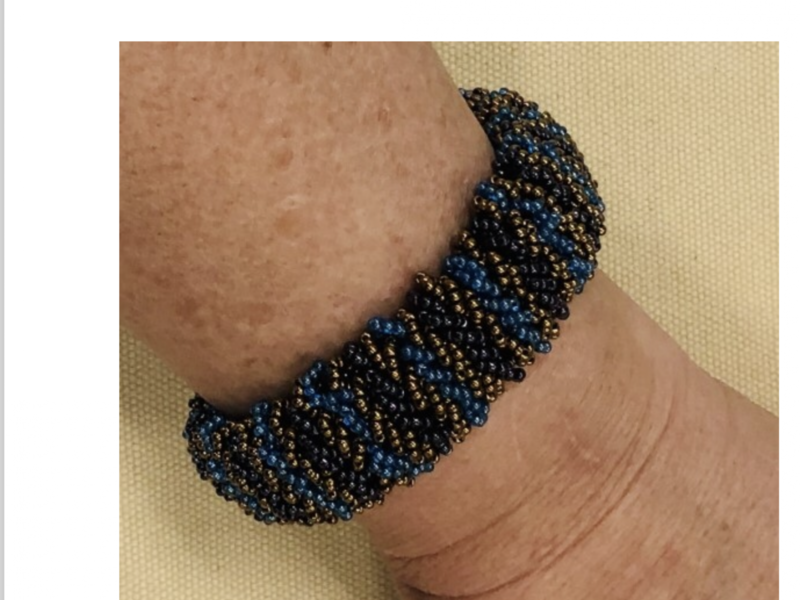 This project, while time consuming, is very simple to do and is a great way to use up leftover beads. You can do it any width you choose, can create a pattern as in the larger sample, or add beads randomly as in the smaller sample. You can also add leaves, drops, hearts etc. to embellish your loops.